The demand for miniaturisation of electronics, such as smartphones, wearables and the Internet of Things devices, is continuing to grow, but the industry is now reaching the scaling limit for traditional silicon materials. Two-dimensional (2-D) materials have attracted significant interest in recent years due to their unique electrical and mechanical properties, alongside atomically-thin dimensions. While graphene was the first 2-D material to be studied in detail, there is now also a focus on other 2-D materials with diverse properties and new applications. Among these, single-layer molybdenum disulphide (MoS2), a semiconducting 2-D material, is generating a lot of interest due to its technologically exploitable electronic and optical properties that could pave the way for the next generation of electronics and optoelectronics devices. 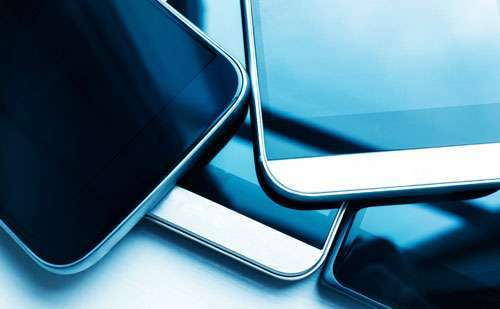 In order to commercialise electronic devices made of 2-D materials, industry faces a challenge to carry out quality control checks without destroying or damaging the material. As a single-layer of a 2-D material is only a single atom or molecule thick, assessing their quality so far has only been possible using destructive techniques. Defects are expected to critically impact the performance of MoS2-based electronic devices, so the ability to investigate and quantify the number of defects without causing damage is crucial for enabling large-scale manufacture of the material, device fabrication and material functionalisation. Oxford Instruments, a leading provider of high technology systems and tools for industry and research, looked to develop a new deposition system and process that could produce MoS2 in a more industrially-scalable manner to help further the commercialisation of MoS2. The team of researchers were in need of a suitable quality control approach, and turned to the research from the National Graphene Metrology Centre (NGMC), a world leader in the characterisation and advanced measurement of 2-D materials, at NPL. "We were investigating the use of Raman spectroscopy for characterising MoS2 and found that it is a viable high-throughput and non-destructive technique for quantifying defects in this exciting 2-D material," recalls Dr Andrew Pollard, Senior Research Scientist at NPL. "Importantly for this study we could controllably introduce known defects into MoS2 as a first step, using a technique from our previous work in graphene." Due to this, says Dr Ravi Sundaram, Senior Scientist at Oxford Instruments, "we were able to use NPL's industrially-focused research as a framework for developing our own quality control measure that uses Raman spectroscopy to quantify defects in MoS2 produced using chemical vapour deposition. While such techniques are widely used for graphene, there was no established way of checking the quality of MoS2 in a non-destructive manner before NPL's work was published. Being able to measure the quality of the material enables us to optimise the growth process. This ensures we are able to provide very high quality, low defect density MoS2 films from our tools." NPL's work on MoS2 provided Oxford Instruments with the methodology they needed to develop their own quality control process, which characterises the 2-D MoS2 layers without having a destructive impact on the material's structure. This enables the team to efficiently characterise the MoS2 produced via an industrially scalable technology, helping to accelerate the commercialisation of 2-D materials. "We have both academic and industry customers, who are looking for efficient production and characterisation of these novel materials," says Ravi. "MoS2 is a promising material for electronics, and quite a few industries are interested in it. Being able to manufacture it efficiently is vital to making the material commercially viable and attractive, and this technique has helped us offer a high quality and competitive product to our customers." MoS2 shows promise in both electronics and optoelectronics. Its inherently thin atomic structure not only offers several advantages in scaling down traditional electronics but also opens up the possibility of adding further functional elements on a chip for applications such as sensors. In addition, its semiconducting electronic structure renders it very interesting for optical applications such as photovoltaics and light emission. As such, upscaling the production of MoS2 and assessing its quality using non-destructive approaches offers vast benefits not only to manufacturers, but also to the industry as a whole.